Motherhood: Where does the balance go??? Every season of The Bachelor or The Bachelorette comes along and I say I am going to stop watching. But every season I fail! I watch. I get lured into the romance unfolding. But what I really enjoy is the After the Final Rose show. How is it all REALLY? How is this “real life” couple doing once the lights, camera, and action are taken away? Join me and a few friends who indulge in this silly show over the next few days as we look at the realities of motherhood after the baby arrives. It’s amazing how adding one little person to your life can throw things off balance. I have always been a person who can juggle many things, all while keeping a smile on my face and the house neat and tidy. The day my little man came into my life, everything seemed to change. For the first time ever, I struggled with the act of balance in my new world. I wanted to spend all of my time with my sweet baby, but I still had to manage the house, day to day things and also work in full time ministry. I had no idea how on earth people could “do it all”. Honestly, I didn’t really know what it meant at first, but after Him giving me that word over and over, I started to get it. I now try to be intentional in everything I do. Instead trying to take on everything like Super Woman, I focus on what really matters – my family and serving God. I am intentional about the time I have with my son. When I am with him, I focus on him and soak up my time with him. I am intentional about being a good wife to my husband. And I am intentional about the time I spend with God. It sounds silly, but I have to set aside time for what is important in my life, otherwise those things would get lost in the shuffle of everyday life. Every day, I make sure I am spending time in God’s Word. I have also joined a women’s group that I can study and grow with. I put down my phone and turn off the TV so I can enjoy time with my family. Being intentional has really helped me get that sense of balance back and I am much happier now that my life is balanced again. 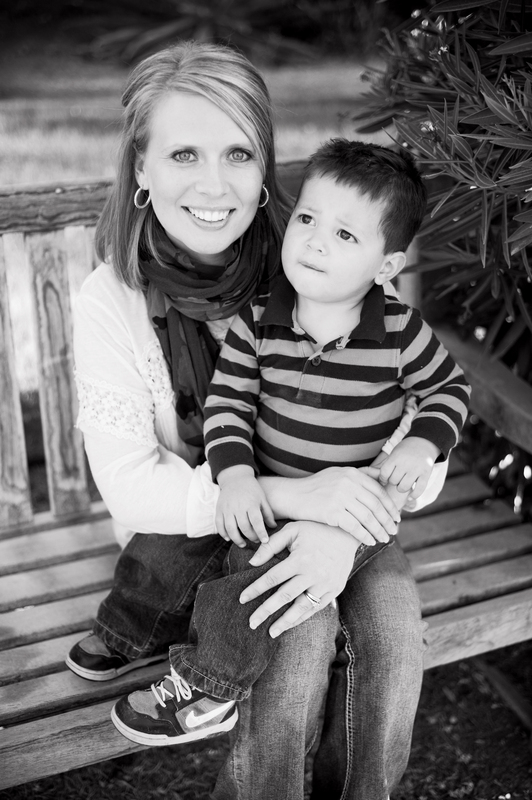 I am a wife, momma, and servant of Jesus Christ that enjoys spending as much time as I can with my family.